Buying a home anywhere feels like a huge step, but getting settled in the suburbs can seem especially momentous for any household. After all, traditionally, suburbs were for establishing a place in the community and raising a family, where you can put down roots and grow a life. Where you might plan to stay in your city home for just three to five years, a home in the suburbs could be the place where you retire. So it pays to do some research on the suburb and neighborhood where you want to plant those roots. There’s a lot you can do to an individual house to help it fit your lifestyle, but if the neighborhood isn’t a good fit, remodeling it isn’t quite as simple. How do you make sure that the neighborhood where you’re about to buy is a place to sink your roots? By conducting your research, talking to experts, crunching the numbers, and narrowing down your options until you have an option that sounds like home. It’s not wrong to choose a home based on life aspirations or goals that you hope to achieve one day. But unfortunately, humans have a tendency to imagine themselves reveling in situations that, realistically, they wouldn’t actually enjoy. So if you know that watching the local baseball team is one of your great pleasures in life while football leaves you more or less cold, then don’t expect yourself to develop a sudden love for football just because you found a home that offers an easy commute to the field, for example. Draw up a fantasy list of everything that you want in a suburb — but with a dose of realism in the sense that you’re only including features and amenities that you really want, not things that you think you should want. Every suburb is going to have perks and deficits, and it’s up to you to decide now what your ideal place to live is like and then see how close you can get. If you’ve rented in a few different neighborhoods or suburbs in the city, this should help you with your list. Consider what you liked about each place, whether it was the best schools in the area, the extensive park system, or the quick commute to work. While you’re at it, think about any dealbreakers that emerged while you were moving around as a renter. What did you not like or appreciate about any of your previous neighborhoods or suburbs? What annoyed you, and what made you grit your teeth and vow to move as soon as possible, if anything? Even if your kids are in high school and you won’t be looking at elementary or middle schools at all, it’s a big mistake to ignore the schools in your suburb of choice. School quality is tied to home prices, whether you like it or not, and you don’t want to eliminate families with younger (or older) kids from the pool of households who might be interested in buying your place when you eventually move on. You can find general school ratings online, but bear in mind that some providers might not give you the granular information you need — like the individual ratings for elementary, middle, and high schools, and background context that shows how the schools in your area measure against the rest of the metro area. The more information you have, the better-educated you’ll be when the time comes to make an offer on a home, and that never hurts. If you do have school-age kids, then it’s extra-smart to do an additional layer of research when you’re narrowing down your suburbs of choice. Test scores only tell part of the story when it comes to any school. Call schools and ask about safety policies, how they manage struggling students, the availability of gifted programs, inclusivity efforts, and any other areas of concern that you might have. Even if you used to live in the area (or currently do), don’t assume that you know everything there is to know when it comes to the traffic that flows through and the businesses that place their stakes. You never know which suburbs are going to get the benefit of future public transportation infrastructure, or which businesses might be moving into which parts of the metro. Start with the the appropriate government and Chamber of Commerce entities for the suburb. Ask whether you can obtain a list of current business establishments in the neighborhood, and ask about planned developments and traffic projects. Ask about city facilities in the works, too, like rec centers, theaters, parks, or other public amenities. Not only will this give you a heads-up to any major construction that could be surrounding you in the near future, but it can also serve as a red flag; suburbs that have a lot of empty storefronts and few businesses opening can signal areas where values might not be rising as quickly as the surrounding metro. Conversely, suburbs with new developments planned and businesses getting ready to open can signal spots with up-and-coming desirability, even if they’re not quite there yet. Ask about population and how many people have moved into and away from the suburb. You’ll get a sense about whether those congested roads to and from work are going to get better or worse, and you won’t be surprised when your commute changes accordingly. You’ll also want to look at how the suburb’s public transportation network hooks up with the larger metro’s and how easy it is to get to the places you already know you like to visit. Where are the closest transportation stops or hubs, and what’s the parking like there? Is it relatively easy to get to and from the airport on the train or bus? How about from your prospective neighborhood to significant local landmarks or areas of interest, like arenas, ballparks, music venues, and your workplace? Are there any shuttles or other public transportation systems established in the suburb? How easy is it to call up a ride on Lyft or Uber? What are the train or subway stops like? How long does it take to grab public transportation or a cab to the city center, and how much does it cost? 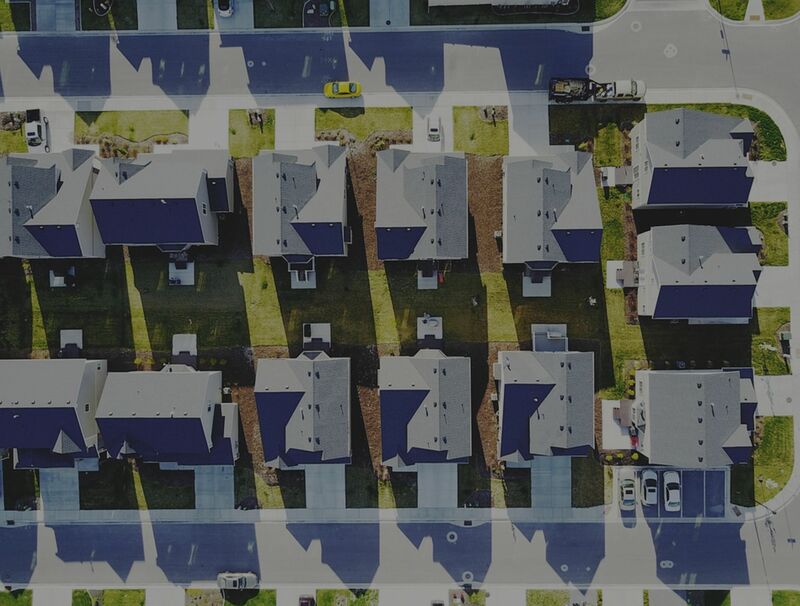 Just like school ratings, there are a number of platforms that offer crime ratings for different suburbs — and that’s a good thing to know when you’re about to buy a home. It’s always smart to understand exactly what the maps are showing, and that’s especially true for crime ratings. Oftentimes, those ratings are based on crime reports rather than filed charges or convictions secured, so the crime ratings platforms don’t always tell the full story. It’s not a bad idea to check with any friends who live in the area or a real estate professional to get deeper insights into how safe a suburb and its surrounding county (or counties) might be. And nobody wants to think about being rushed to the hospital, but you might want to think about it before you buy a home, especially in the suburbs, where a hospital could be fifteen or twenty minutes away, and a good hospital even further. What’s the local average emergency response time, and which hospital would be the go-to if you had to call for emergency services? Is there an urgent care center that’s closer? What are its hours? Those are good questions to be able to answer before you decide that a suburb is for you, especially if you or someone in your household has a health issue that requires specific care. Level I Trauma Care centers are equipped to handle most medical needs, including emergencies. If you can, it’s wise to try to spend at least one night (and preferably closer to a week) in the suburb where you want to buy. Find a vacation rental, if possible, so you’re not cushioned by the “hotel experience” (if it’s available) and can spend the week navigating where to shop for groceries, how you’ll get to work, where you can walk the dog, and whether the sounds and smells are welcome or repugnant. Maybe being close to a golf course is a dream come true, or maybe you’d rather nestle closer to the street where the best restaurants in the area are clustered. Whatever the case, it’s best to figure it out before you’ve plopped down your (nonrefundable!) earnest money. And if you can, try to stretch the week for a full seven days so you can experience the suburb on weekdays and weekends — after all, you’ll be living there all week, too. Maybe you’ll see plenty of families out and about on weekdays and practically nonexistent on weekends, for example, which might or might not align with your own schedule. If the suburb has any festivals or events, try to visit those, too, to get a feel for what the locals take pride in and how they celebrate. You might know that home values are rising all over the metro area, but understanding the historical price growth in your specific suburb of interest will give you a better idea as to whether the spot is ahead of or behind the typical trajectory — and what your sales opportunities might look like in a few years when you’re looking to move on. Likewise, you probably want to investigate the rate of homeownership in any suburbs you’re considering. Homeowners tend to invest more in their properties than a landlord would, and suburbs with high rates of homeownership tend to be up-and-coming or well-established neighborhoods where you’re more likely to see healthy home price growth. If you’re not sure where to find those numbers (especially reliable ones), talk to a local real estate professional.